The latest proposals to hopefully improve the prospects of small and medium-sized enterprises (SMEs) when it comes to borrowing money have been revealed. One of the main problems that companies have come up against in recent years is their ability to prove that they are ‘good’ for the money that they are applying to borrow. Previously, organisations like the Competition Commission and the Office of Fair Trading have called for something to be done to stop a lack of information regarding a firm’s credit-worthiness limiting the proportion of providers they can turn to for finance. However, this could change if the government plans to make it easier for banks to access credit data go ahead. The Treasury’s financial secretary Sajid Javid said that ministers were “determined” to introduce a new way of banking that supported SMEs and the UK economy as a whole. “Requiring banks to share data is an important part of creating a more level playing field that will enable more providers to enter the market,” he added. The legislation is far from complete, though. Firstly, a consultation will take place involving the industry and stakeholders – running until February 17th. It’s then hoped that the next session of Parliament will allow the law to be introduced off the back of the feedback the government receives. 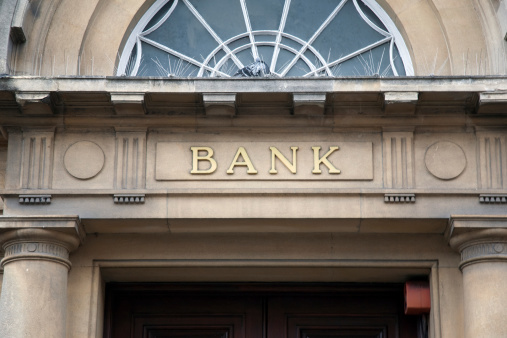 At the moment, the four biggest high street banks are responsible for around 85 per cent of lending to SMEs, which is why those concerned want to see greater competition – as the banks have been heavily criticised over the last year or so for an apparent lack of desire to lend to smaller businesses. What are your views on SME finance? Do you think the sharing of credit data will make it easier for smaller businesses to borrow cash to help them grow? This entry was posted in Blog on 3rd January 2014 by Secret Businessman.